As the start of term approaches, school leaders will be preparing a range of INSET and CPD activities designed to support the latest initiatives. Unfortunately, many of these initiatives – be they about about teaching and learning or school leadership or management - will be the product of the latest or management or education fad. However, it's not just management fads that we have to look out for, we also need to aware of zombie ideas - ideas which are still being used despite being disproved by the evidence. So the rest of this post will explore first, the nature of zombie ideas; second, provide some examples of zombie ideas which are still in circulation; third, suggest how to protect you and your school from being 'infected' by zombie ideas. So how do we protect ourselves from zombie ideas and urban myths. Strip it - get rid of the fluff surrounding the idea/change/strategy/intervention and get to the heart of the actual claim. What specific intervention, strategy or actions should the teacher adopt and what outcomes, say learning or achievement, are being promised. Analyse it - what are you being asked to believe. What is the evidence to support the claims being made? How does this evidence relate to your own experience as a teacher? However, as Daniel Willingham himself argues - the 4 steps outlined - will not turn you into an instant expert in any particular area. However, just because gaining expertise is a difficult and time consuming process, does not mean that you cannot be critically informed about either current practices or proposed changes and interventions. In doing so, you may save yourself from living and experiencing zombie ideas in practice. COE, R. 2014. Classroom observation : It's harder than you think. Available from: http://cem.org/blog/414/ 2016]. DE BRUYCKERE, P., KIRSCHNER, P. A. & HULSHOF, C. D. 2015. Urban myths about learning and education, Academic Press. QUIGGIN, J. 2012. 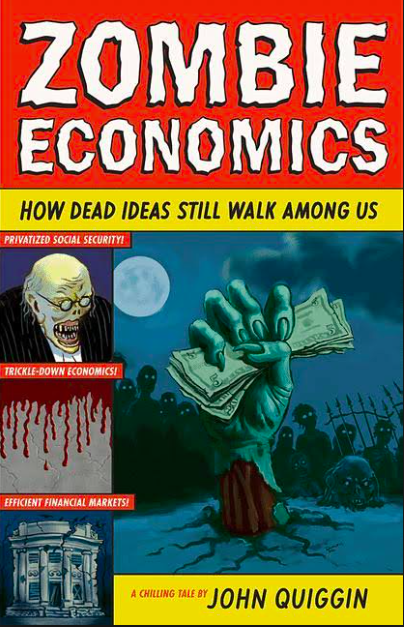 Zombie economics: how dead ideas still walk among us, Princeton University Press. WILIAM, D. 2016. Leadership for teacher learning, Morrabbin, Vic. : Hawker Brownlow Education.